Is it the right time of year to make a few upgrades on your home? It is amazing to see how much these upgrades can improve the comfort levels and quality of your property. Here at Signature Window & Door Replacement, we specialize in vinyl replacement windows and doors in Auburn, WA, and our team is here to help with the upgrades that are needed in your home. When you work with our team at Signature Window & Door Replacement, you will find we are dedicated to the success of your home improvement project. We always want to be sure that our customers are happy with the products and services that we deliver, which is why we will take the time that is needed to understand your goals and concerns with respect to the project. By keeping the lines of communication open, we give every effort to making sure that your new windows and doors turn out exactly as you had imagined. We offer a number of different colors, features, and sizes for you to choose from. You can easily customize your vinyl replacement windows to match your individual tastes and requirements within your home. 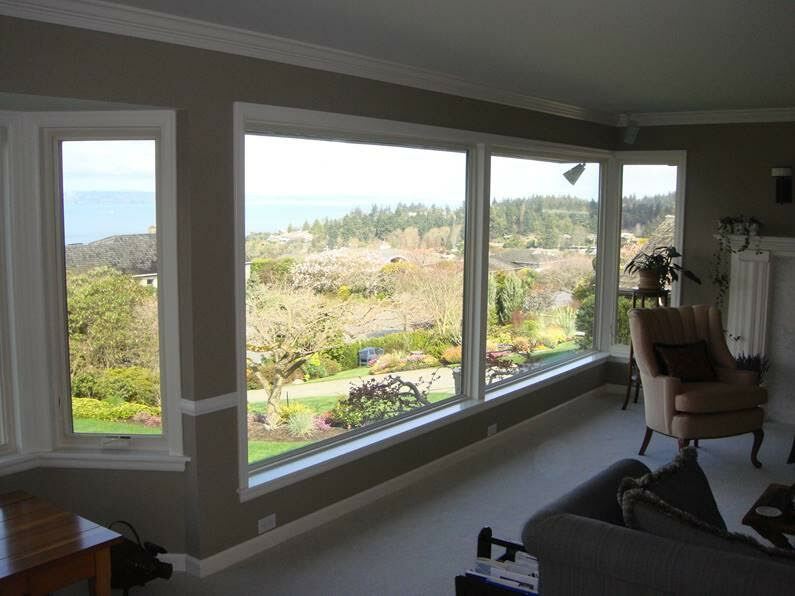 Why Vinyl Replacement Windows in Auburn, WA? There are many different types of windows that you can choose from, and you might wonder why the vinyl products come so highly recommended. You are welcome to talk with us at Signature Window & Door Replacement about the different options that are available, and we can explain the pros and cons of all of the window types that are available. Some older homes have wood window frames and doors, and the homeowners find that it can be difficult to keep up with the maintenance and work required for these types of products. Wood requires regular sanding, refinishing, and painting, to ensure that the windows look great year by year. If you don’t keep up with these maintenance tasks, you will likely find that the harsh weather may cause the wood to weather and the finish to crack and peel. On the other hand, vinyl windows require minimal amounts of ongoing maintenance and repairs. Once the vinyl replacement windows are installed, you don’t need to worry about scheduling time to paint or refinish the window frames. In fact, it isn’t recommended to repaint these window frames, so make sure that you choose the color and design that will look good for a long time. It costs money to improve your home, but these investments are worth the cost. At Signature Window & Door Replacement, we can talk with you about the anticipated costs for the project, and then you will be able to compare the costs with the long-term benefits that will be enjoyed. For example, vinyl replacement windows can actually save you money in the long run. When energy efficient windows are installed, they help to reduce the amount of energy that you are using on an ongoing basis. As a result, you will see that you utility bills go down and you can save money every month. Additionally, the upgraded windows can be beneficial to help with property value and the equity that you have in your home. Instead of only focusing on the initial out-of-pocket expenses that will be required for the window installation, you need to look at the bigger picture to understand the full benefits. Some homeowners might be tempted to save a little money by choosing lower quality windows, but the truth is that the savings aren’t worth the cost, because you will be sacrificing many benefits! When you are ready to get started with your window replacement project, it is as easy as making a phone call to us at Signature Window & Door Replacement. We know the process to get your windows installed, and our team wants to assist you in creating the home that you have always dreamed about. Choosing the windows contractor is an important decision, because the quality of your contractor will impact the final result when the project is finished. Our team is focused on the satisfaction of each customer that we work with, so we will work hard to ensure that the project turns out exactly as you want. We invite you to talk with us if you have any questions along the way, because we understand the importance of good communication with each of our customers.